Limited time Dell sale: 25% off Dell 21.5 multie touch monitor (S2240T). Limited time offer. Dell free shipping offer: Up to $400 Off Select Vostro Desktops with 3rd Gen Intel Core i7 Processor. Dell free shipping offer: $200 Cash Off Vostroa, 470 Mini Tower. Limit 3 Units Per Customer. HotOzCoupons.com.au is a one stop destination for online coupons in Australia. 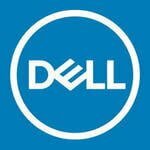 Checkout Dell promo codes and save huge. Stay tuned, new promotions are added daily.